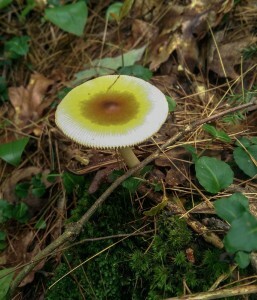 My oldest daughter has decided that for her biology degree she wants to specialize in mycology – the study of mushrooms and fungi.Â I am not sure what kinds of jobs there are for that, but she is spending her free time in the woods, photographing and finding mushrooms like this one! My kids and I toured the Sturgis Pretzel factory last week, the oldest commercial pretzel factory in the country. 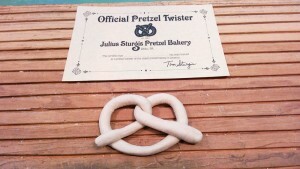 They learned to twist pretzels and became officially certified pretzel twisters.